Clip on card holder. Secure your ID card with this functional ID holder. 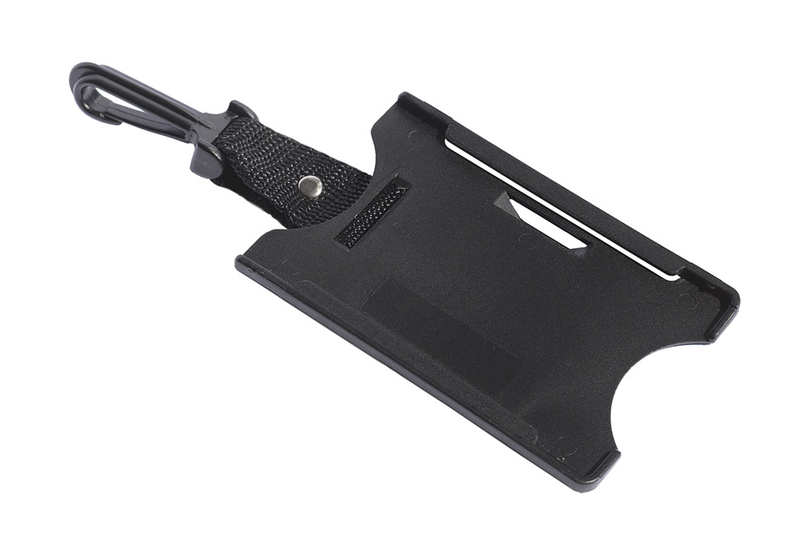 ID's are becoming the norm to move around federal jobs, in a lot of these jobs you'll have to scan or 'slide' your ID through-out the day, that is were this card holder comes in handy; it works perfect when used in combination with the built-in ID pockets in JOBMAN pants, shorts, and jackets. the ridged holder adds a layer of protection to ID's and easily pulls in and out of the the built-in JOBMAN ID pockets.